Eric Smith presents the fascinating Viking culture! A vast collection in his slide show, real hands-on implements, and audience participation encouraged after the presentation. 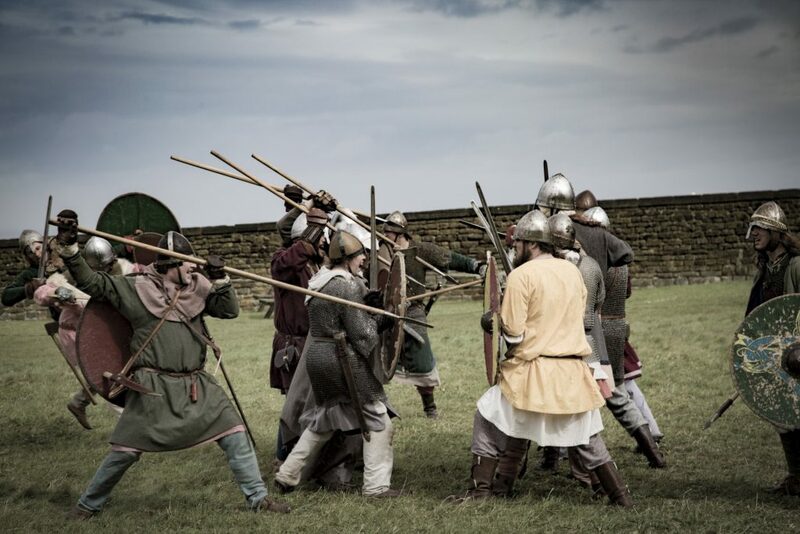 Viking Lore and Traditions – warfare, culture, and more. Eric Smith, historian and speaker, will dispel some myths about Vikings and share his knowledge and interests. Free to the public. Refreshments offered, some gruel perhaps, maybe some dried fish. Perhaps some ale will be pillaged from afar along with a wheel of aged mountain goat cheese or some kind of fermented sheep milk. Perhaps a stoneground rye wafer to go with that. Cream with your Gevalia coffee, maybe. Bring an ancient horn for a cup. Swedish or Danish pastries, anyone? Free event. Donations welcome to help support our monthly lecture series. RSVP – space is limited. Reserve your space by emailing us at manzanitawp@gmail.com or call us at 209-728-6171.